If you’re a superhero fan, TDS TV on Demand has you covered with Avengers: Infinity Wars and also Deadpool 2—but if these films aren’t in your wheelhouse, there are lots more movies on tap. Start with a Gabrielle Union thriller, or Melissa McCarthy’s latest comedy, and finish out the month with the power-house ensemble piece, Book Club. For the kids, we have Show Dogs ready to entertain. In this action thriller, Gabrielle Union stars as a woman who will stop at nothing to rescue her two children from being held hostage in a house designed with impenetrable security (fun fact for our Wisconsin customers: the movie is set in the Badger State). While the plot may be a tad thin, Gabrielle Union got lots of kudos for her portrayal of mom-on-a-mission Shaun Russell. If you’re old enough to remember Rodney Dangerfield’s “Back to School,” then the idea of this film is not too dissimilar. When her husband dumps her, Deanne (Melissa McCarthy) goes back to finish her college degree at the same time as her daughter. Embracing freedom, fun, and frat boys, Deanna finds her true self. Written by Melissa McCarthy and her husband, it co-stars frequent collaborator and fellow comedienne, Maya Rudolph. If you like the Marvel Cinematic Universe, this is a must-watch. Heck, even if you’ve only dabbled, you should see it. 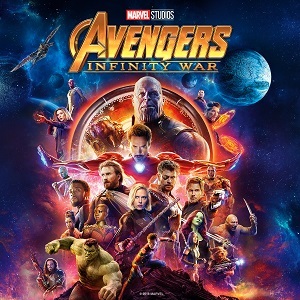 The most dramatic of the three Avengers movies, the team of superheroes (now including Black Panther) battle Thanos. Their goal? To keep him from gaining unimaginable power by obtaining all six Infinity Stones. This is the cliffhanger ending to 99% of the Marvel movies that have come before it and it’s pretty spectacular—both in special effects and star power. Live-action dog movies return! A police dog named Max (voice of Chris “Ludacris” Bridges), desperate to recover a stolen baby panda, teams up with a human FBI agent, played by Will Arnett. To solve the case, Max goes undercover at an exclusive dog show where he gets help from a variety of dogs—and even a tiger. Kids are likely to enjoy the silly gags (after all, it’s directed by the same person who did Beverly Hills Chihuahua), but parents may a little less enthused. The official synopsis of the film reads: The sequel to the first one. The good news is, if you liked the first, you’ll enjoy the second. Wade is back, this time trying to prevent a dire future by changing the path of an abused young mutant today (spoiler alert: no Zambonis this time). Although sometimes the movie feels like it’s trying a bit too hard, the charm of Ryan Reynolds as Wade plus the strong cast (much of it returning) makes it work. It definitely earned its Certified Fresh rating and 86% audience score on Rotten Tomatoes. It’s all about the synergy of this cast—Diane Keaton, Candice Bergen, Jane Fonda, and Mary Steenburgen (and also Andy Garcia, Don Johnson and Craig T. Nelson). Diane Keaton plays a recently widowed woman who, with her three lifelong friends, has her life turned upside down after reading the “50 Shades of Grey.” Reviewers have called it a “fun, feel-good film” and with that star power, it’s easy to see why! Can you trust third-party bill pay sites?